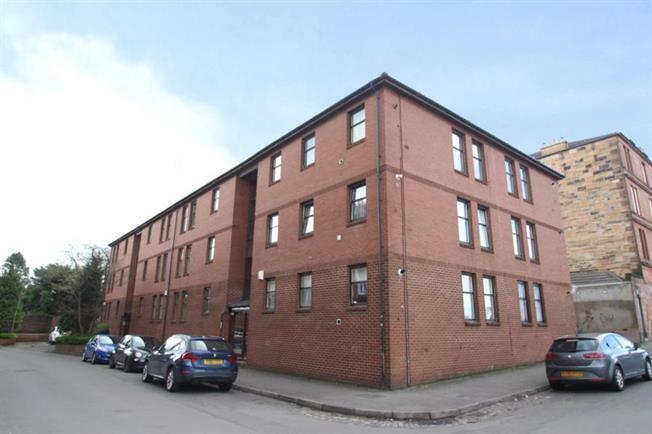 2 Bedroom Upper Floor Flat For Sale in Glasgow for Offers Over £100,000. Forming part of a modern residential development with private parking, centrally sited within a sought after location of Shawlands. This Second floor apartment is attractively presented and offers a secured entry communal hall, reception hall with storage cupboard and generously sized walk-in cupboard. Bright twin windowed lounge, attractively decorated. Directly off a well appointed kitchen with a range of base and wall units including integrated appianlies . T appianlies ,two bright double sized bedrooms with in-built wardrobes. Bathroom with three piece suite with shower and fully tiled walls. The property has gas central heating and is double glazed. The property further benefits from private off-street parking. The property is ideally located for a range of first time buyers or couples alike. Shawlands offers a superb variety of amenities including restaurants, bars and recreational facilities further complementing the area. There are transport facilities which include bus and rail links providing access to Glasgow City Centre and surrounding access. Motorway access is also located close by.